No matter what the damage is, we can treat, decontaminate and clean it up quickly and professionally so it looks like it never happened. Whether water damage, restoration clean up work, mold abatement/remediation, sewage removal, decontamination, smoke and fire damage or testing for mold and air quality, we can handle it. We can handle jobs from a small water damage spill to large clean ups in homes, apartments, condos, warehouses and office spaces. 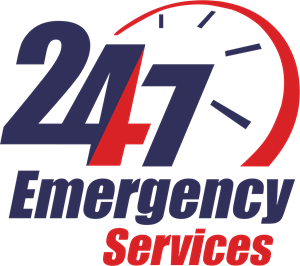 We offer 24/7 Emergency Services and phone lines are always answered personally. Call or Request a free estimate. We can also work with your insurance company to help get coverage for any emergency cleanup. We carefully inspect your property’s water damage, determining the type of water damage and the areas affected. We start ASAP to remove water to minimize further damage and to help prevent mold growth. Our core values as a company consist on providing great customer service. We have high standards for our work and provide a professional team with creative solutions to restore your home to its pre-loss condition. We thrive to provide excellent customer service by providing quality and professional work. We set our standards high so we can assure our clients the best customer satisfaction. Our clients deserve the best, therefore we always provide them with professionals. We provide our clients with a variety of creative solutions to restore their home from a disaster. We returned from a movie to find it was raining — indoors! a broken supply line was sending water through the ceiling in several locations. ARC Water Damage responded immediately, positioned fans where they had cut the necessary holes in the ceiling and dried us out in three days. No mold, thank goodness! They were prompt, professional and very effective. I hope I don’t have to use them again but if I had a problem of this sort I surely would. Had a broken pipe under our guest bathroom causing the bad smells you’d expect. The guys from ARC came out within 2 hours, and got the nastiness cleaned up and deodorized in our crawl space efficiently and cleanly so the plumber could repair the pipe. And for a decent price. Joe and Jesse were great. Thank you guys! I was referred to ARC by Fairway plumbing when I had a water heater leak. They were here the very next day. I was very happy with their work. I would recommend them to anybody.